Information about pre-conference workshops will be available soon. 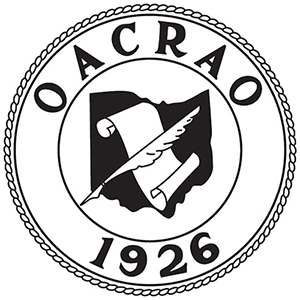 Registration is now open for the OACRAO Residency Workshop 2019 to be held on Tuesday, June 4, 2019, from 9:30 a.m. – 3:00 p.m. at The Ohio State University. Two residency officers will lead the panel - a representative from a Community College and 4-year university. Michelle Chavanne from the Ohio Department of Higher Education will also be in attendance. The fee for this workshop is $60 and includes lunch. You can register online now! Tuesday, June 4, 2019, 9:30 a.m. – 3:00 p.m. Remember if you have questions now that you do not want to forget please submit them in advance. Our next summer leadership series will be in 2019. Check back for more information. A detailed description and agenda for the OACRAO Staff Development Workshop will be available soon. Registrar and Enrollment Offices staff are encouraged to attend. When: Tuesday, July 16, 2019, 9:30 a.m. – 3:00 p.m.